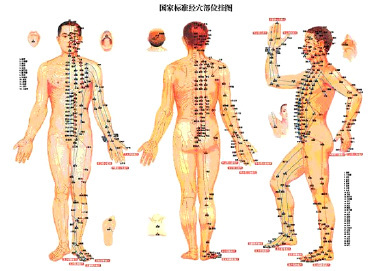 Stimulation of very precise acupuncture points can promote the body’s natural pain control and healing abilities. How does Acupuncture work? Does it really work? Acupuncture has been practiced by the Chinese in the past 2,000 years. Energy or qi channels, called meridians, flow through the body, and an obstruction to the meridians are like a dam that backs up the rivers. Acupuncture can unblock the obstructions, re-establish the regular flow through the meridians, and helps the body’s internal organs to correct energy qi imbalances. The modern scientific explanation is that it stimulates the nervous system to release chemicals in the muscles, spinal cord, and brain to reduce pain, promote healing and achieve physical and emotional well-being. Widely practiced throughout the world, acupuncture has successfully treated more people than with all other health modalities combined. No. Acupuncture is used successfully on cats, dogs, horses and other animals, who do not understand tor believe in the process that helps them get better. A positive attitude toward wellness may reinforce the effects of the treatment received, just as a negative attitude may hinder the effects of acupuncture or any other treatment. A neutral attitude (“I don’t know if I really believe in this.”) will not block the treatment. What the needles like? Do they hurt? What about Laser? 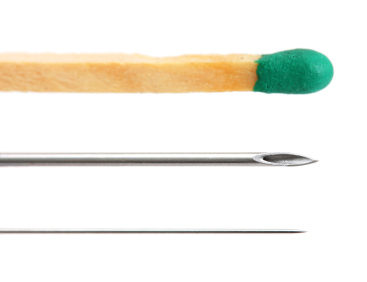 Because acupuncture needles are thin and solid, most patients feel only minimal pain; some feel no pain at all. Once the needles are in place, no pain is felt. The risk of bruising and skin irritation is minimal. There is no risk of infection from treatments as all needles are sterile and single use. Your doctor may also choose to use laser, either alone or in combination with needles, to stimulate acupuncture points. This is also a pain-free, safe and effective treatment. Your GP who is trained and licensed in Western Medicine has to undergo training in acupuncture as a specialty practice. Such a doctor has an advantage to use one or the other approach, or a combination of both, to treat an illness. Dr Jeffrey Ong and Dr Adrian Wong are both Fellows of the Australian Medical Acupuncture College. Both are very experienced in providing Medical Acupuncture. The number of treatments needed differs from person to person, from one to two treatments a week for complex or long standing conditions, up to three times per week for more acute problems. It takes at least 4-5 treatments before the cells start to 'wake up' and cause changes in internal chemicals, which work to produce an effect. Hence, a standard treatment regime is usually at least five, and up to twelve treatment sessions, after which it is recommended to give a break from treatment for about a month. Usually not. If they occur, these are minor and should not cause concern. They are indications that the acupuncture is starting to work. You may experience worsening of symptoms for a few days, mild changes in appetite, sleep, bowel or urination patterns, or emotional state. You may also feel a transient sensation of deep relaxation or mild disorientation immediately following the treatment (common with the first one or two treatments). Appointments for acupuncture are available Monday to Friday from 8.00am to 5.00pm with Dr Jeffrey Ong and Dr Adrian Wong. Please contact Reception on 3480 0111 to arrange an appointment.